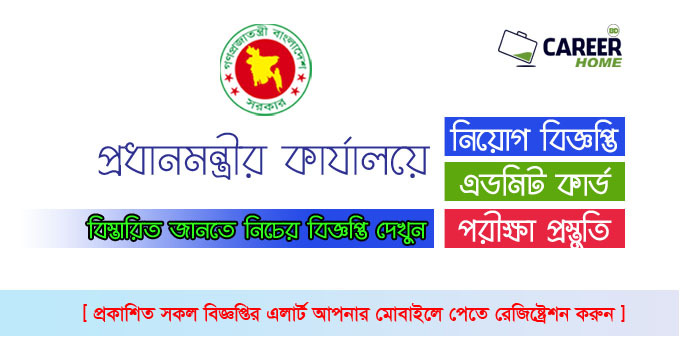 Bangladesh Prime Minister’s Office Job Circular 2019. Bangladesh Prime Minister’s Office Published New Job Circular 2018 for people by newspaper you can find also in my website CHomeBD.Com. Recently Bangladesh Prime Minister’s Office can find new manpower for various positions. If you are interested for Ministry jobs in Bangladesh, no doubt it’s a good one. So, let’s check the Bangladesh Prime Minister’s Office Job Circular 2018. Organization Name: The Prime Minister’s Office Bangladesh. Type of Jobs Nature: Full Time .